Marie Laveau worked with a spirit named Li Grande Zombi, an affectation of the creation serpent spirit Nzambi from the Congo region, also known in Haiti as the creation serpent spirit Damballah whose roots are traced to the Dahomean region. In many ways, Marie Laveau has begun the transition from being a devotee of a loa to becoming one. She is an honorary loa and saint to many people, especially in New Orleans. For her long lasting and still reverberating works in the voodoo community and her charity, compassion and healing works for the church this has been manifest. For the ingenuity, foresight and innovation that she brought to the city of New Orleans and the business of Magick here, this is manifest. For the fact that she has become a symbol that is beyond race, class, belief system or magickal tradition, she has become what the best of this city is...synergy. To give as an offering, to honor and/or beckon the spirit of Marie Laveau. For protection of a home, space, and/or person. 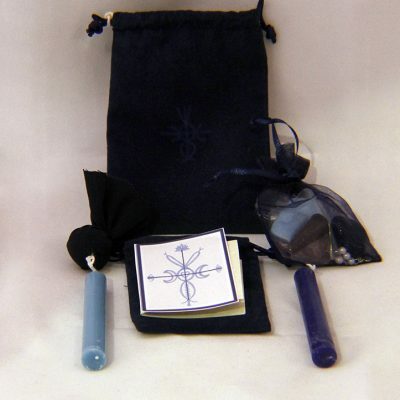 For personal power and to draw upon your positive ancestral spirits. To be a catalyst for spiritual evolution and social progress.